Apache S4 is a retired project on Apache incubator. S4 applications can be deployed on YARN for easy deployment and automatic failover. S4 integration is tested with Hadoop/YARN. YARN allowsvarious kinds of applications in addition to MapReduce applications. We need Zookeeper for it. The above commands will build the packages and install the artifacts in the local maven repository and build the tools will help you so that you can work with the platform through the s4 command. # an ID and start serving on a specific port. # one resource or in a cluster environments. # local application or on a cluster. This Article Has Been Shared 536 Times! 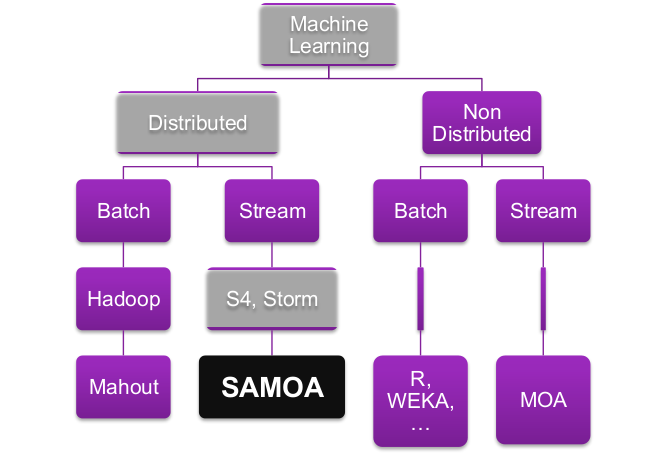 Cite this article as: Abhishek Ghosh, "How to Run Apache SAMOA with Apache S4," in The Customize Windows, June 10, 2018, April 21, 2019, https://thecustomizewindows.com/2018/06/how-to-run-apache-samoa-with-apache-s4/.